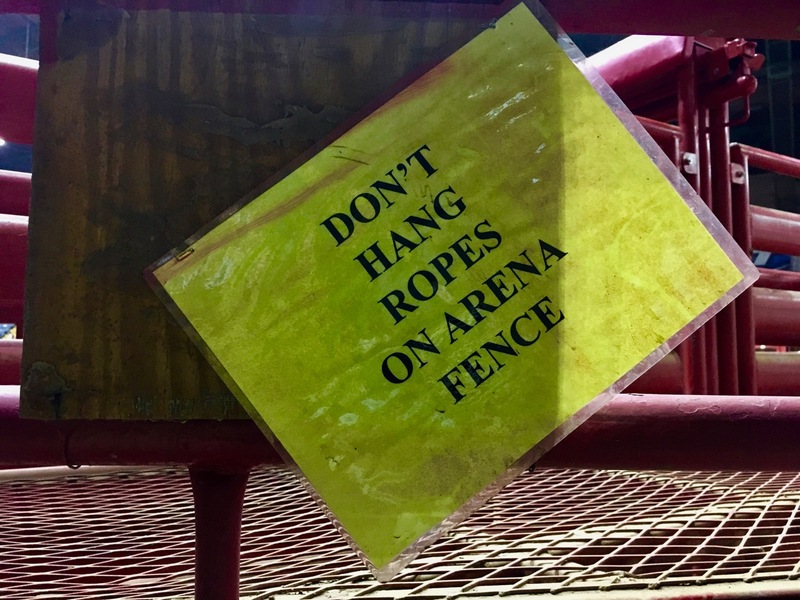 Rodeo is somewhat controversial in the US. Some blame it for being another form of animal cruelty, others just see it as a symbol of redneck culture. 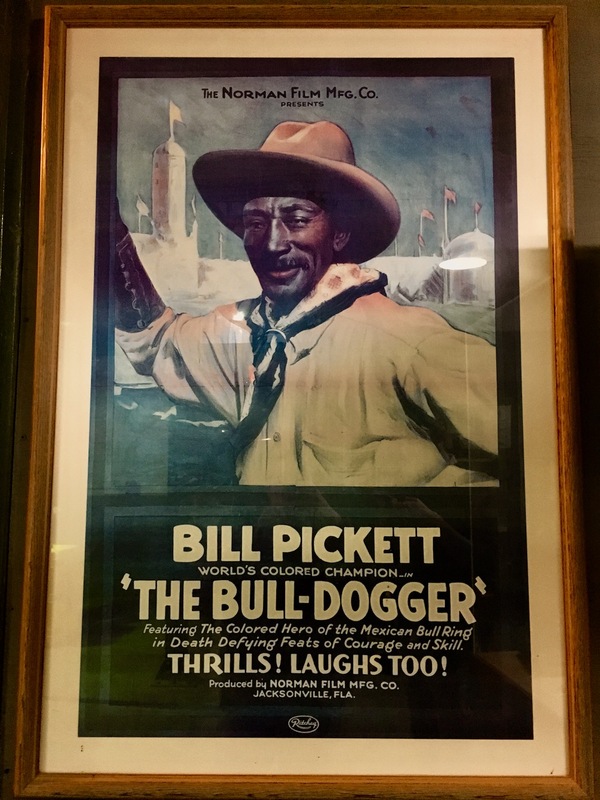 As a tourist in America I consider it wide spread folklore that truly can’t be missed especially as a visitor in Texas. 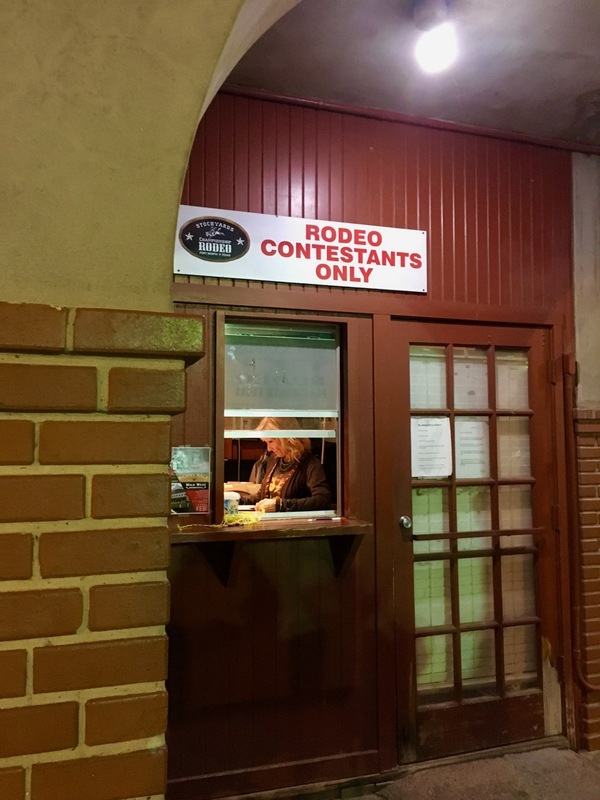 So we went to the Fort Worth Stockyards, we attended the rodeo show and yes we saw patriotism, sexism, shocking calf roping. But we honestly had too much fun to care. 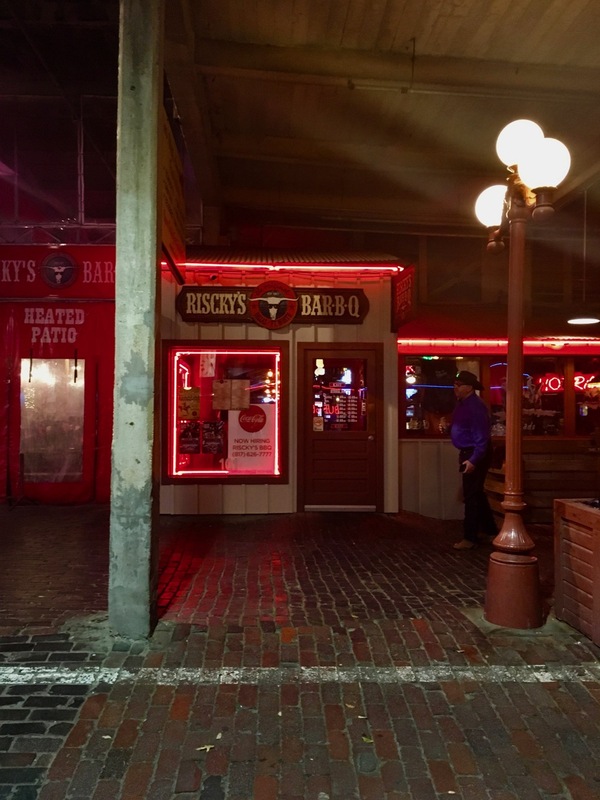 Fort Worth Stockyards is a place of choice to understand the history of livestock commerce in the US and watch indoor rodeo. 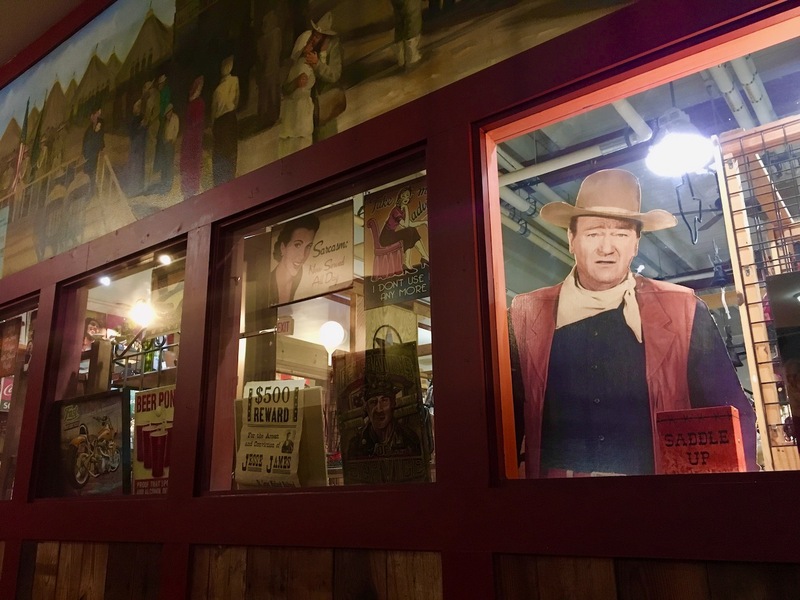 The place is historical: It opened in 1890 and was one of the largest livestock marketplaces. Nowadays people go there to shop and attend a show at Cowtown Coliseum. I was expecting some kind of touristy, “fake” attraction, but it was really authentic and we were both surprised to be the only foreign tourists around. Even US tourists felt very local and for many people it seemed to be a serious business. 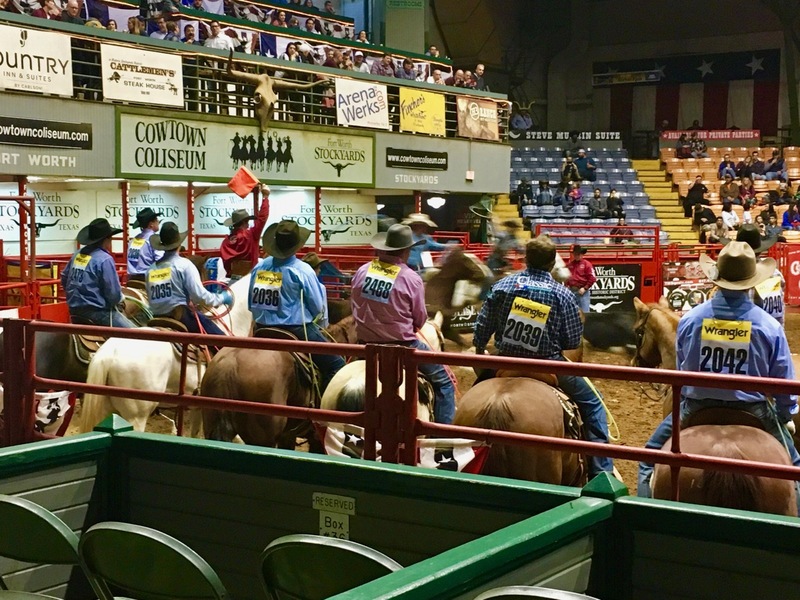 Cowtown Coliseum hosts an actual national rodeo competition, which might explain why it’s not just a tourist attraction. There’s some sort of mini-mall outside Cowtown Coliseum, which is really pleasant for a stroll. There are actual cow boys too. 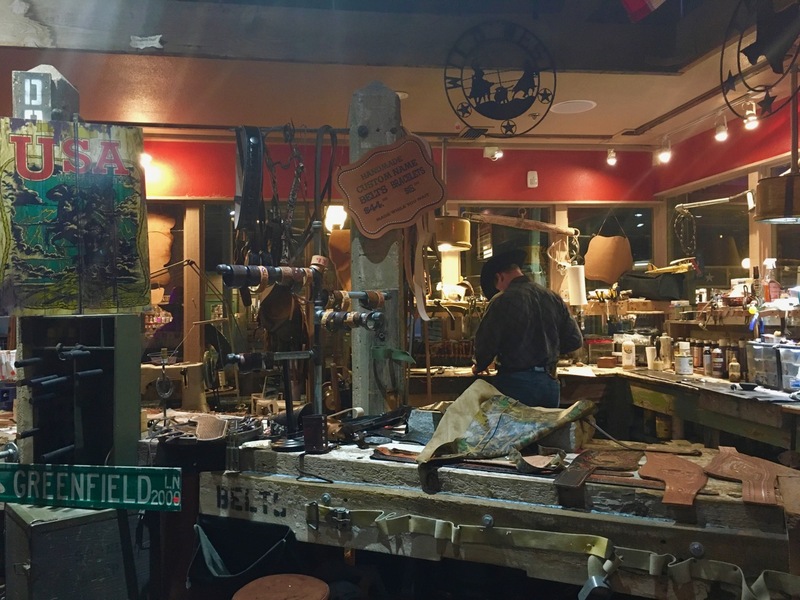 It’s sometimes hard to tell if they’re tourists dressed as cow boys or real cow boys, but you get what you came for: hats and jeans and boots. Everywhere. We saw cow boys registering before the show. I was given a free ticket by a real cow boy. 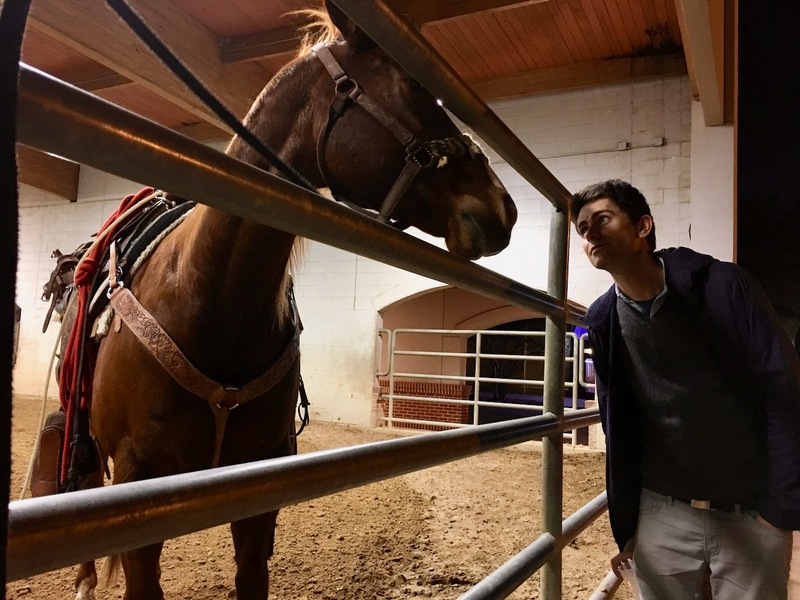 Behind the Cowtown Coliseum, we found some horses patiently waiting to be the other stars of the show. They were really friendly. 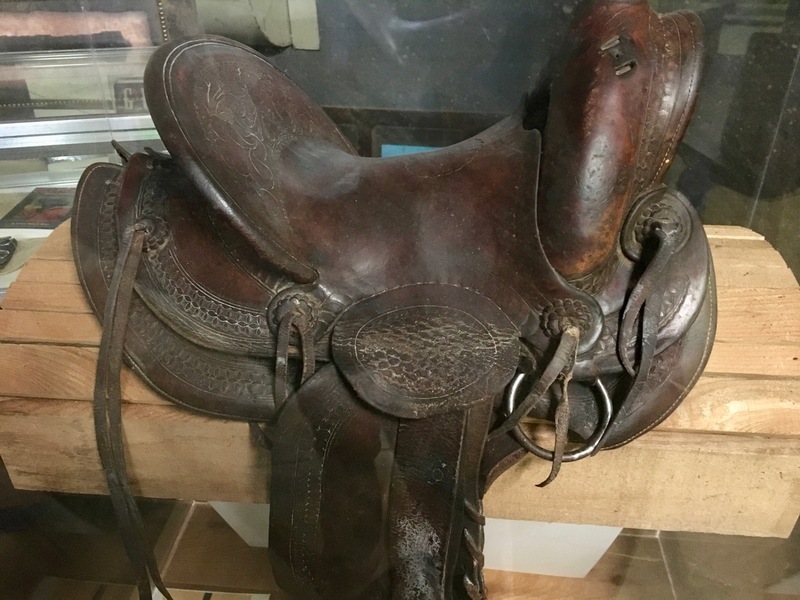 Cowtown Coliseum hosts a small, interesting rodeo museum with some cool artefacts, such as the story of the first black rodeo boy or a very old saddle. We made sure that we had enough Bud Light to last two hours. The evening starts with a patriotic show -everyone eventually had to stand and sing the Star-Splangled Banner… we tried our best to not look so foreign. It then continued with a “fun” introduction involving cow boy clowns and some kind of misogynist contest – I can’t exactly remember what but it involved local women being represented as ideal candidates for dancing or booty shaking. After this long intro starts what everyone came for: bull riding. 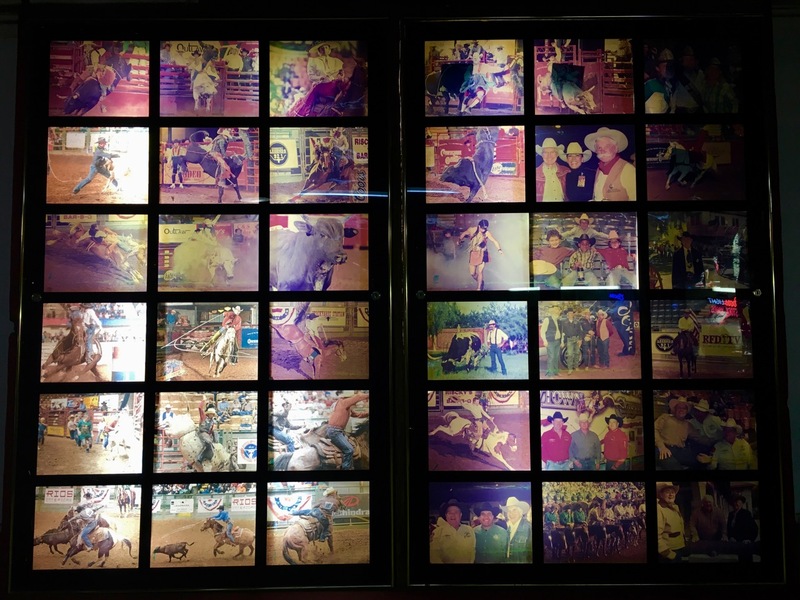 Bull riding is a well known form of rodeo even if not the most typical (riding horses is a more common skill in rodeo). None of the contestants was able to stay on the bull for 8 seconds and it was impossible to photograph. But it was really fun to watch. Do you understand any word in this flyer? After that we saw some calf roping. So basically, there’s a calf running and the cow boy must stop it with a lasso. 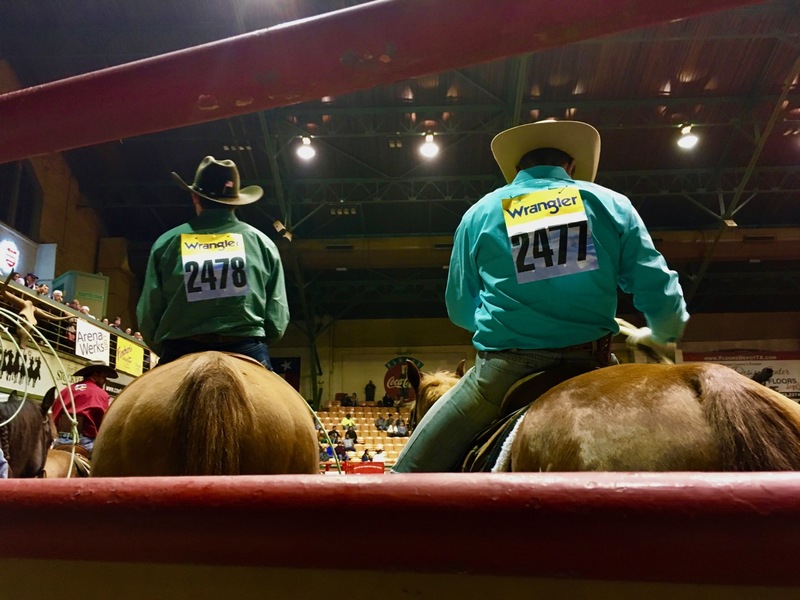 What I learned that night is that calf roping was originally serving a specific purpose: cow boys had to travel with livestock for days for commerce, and became experts at keeping the herd grouped and in order. Losing a calf or a cow was a big deal at that time. 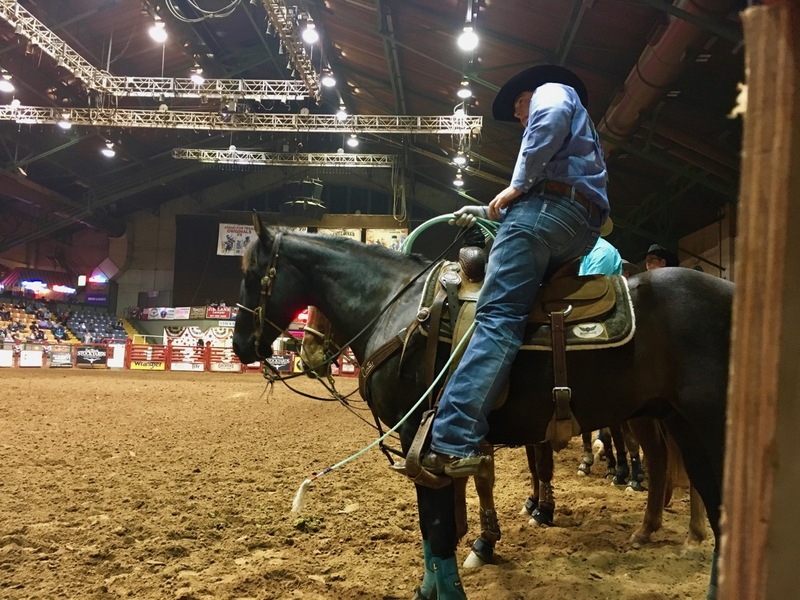 In that sense, calf roping is the true, original rodeo. The calf is literally strangled. Not dead, but in pain -if not hurt. It is indeed hard to watch. 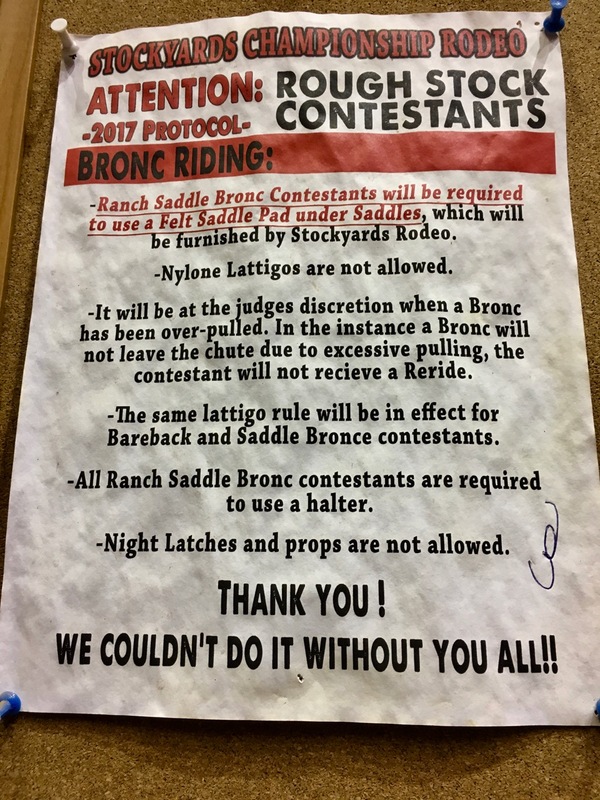 I found most stuff acceptable in rodeo night, but this one was pretty difficult for us especially as it’s no longer “necessary” and only serves the purpose of competition. Traditions are hard to change. 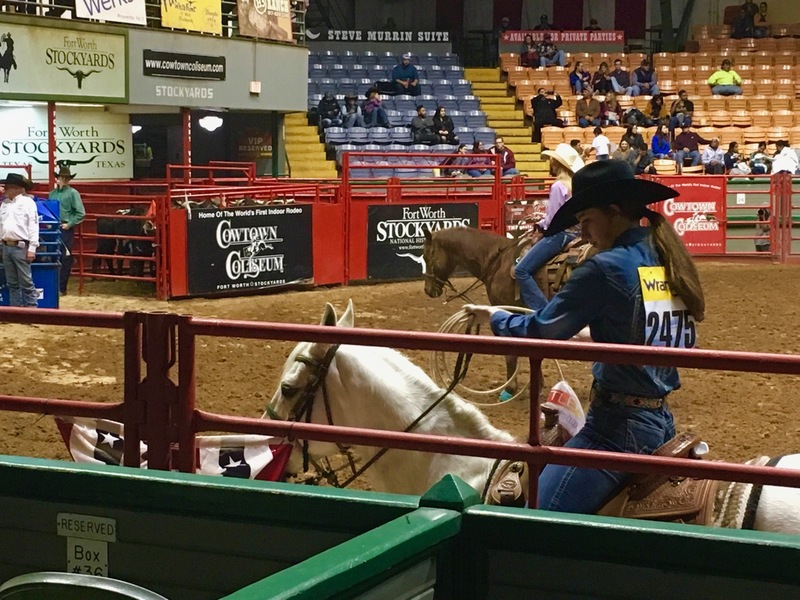 Women partake in calf roping. I found cow girls pretty badass, despite the obvious difference of treatment that they endure. 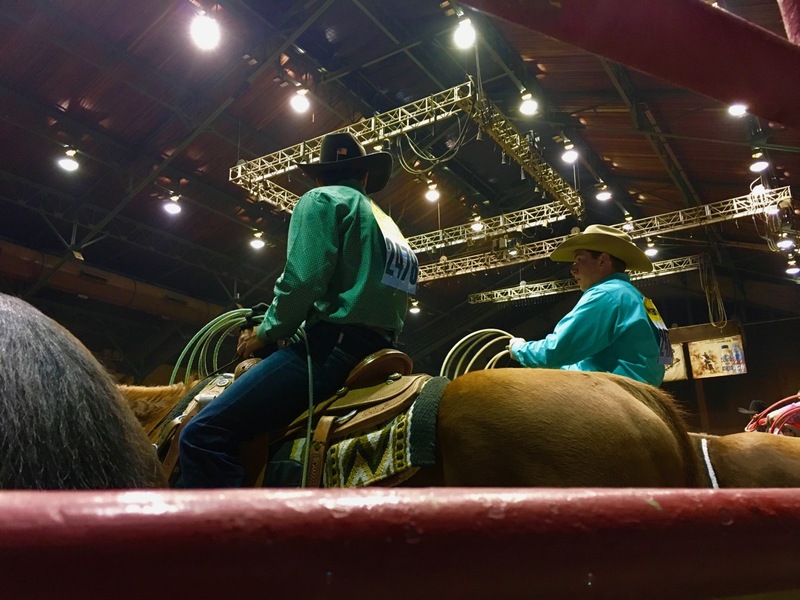 Most of what makes rodeo great is the art of riding a horse like a cow boy. I frankly never saw better horse riding before, expect maybe in Mongolia. Unlike livestock, horses are almost sacred animals. 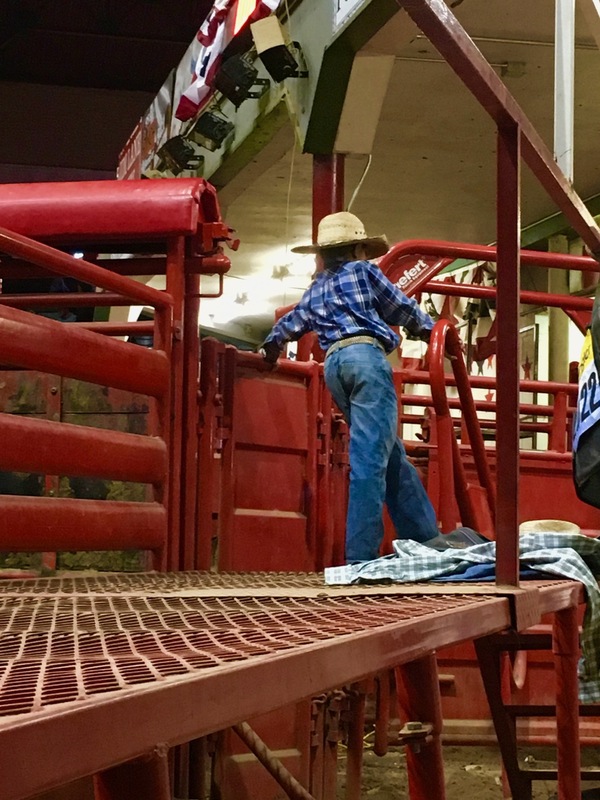 Rodeo starts young. 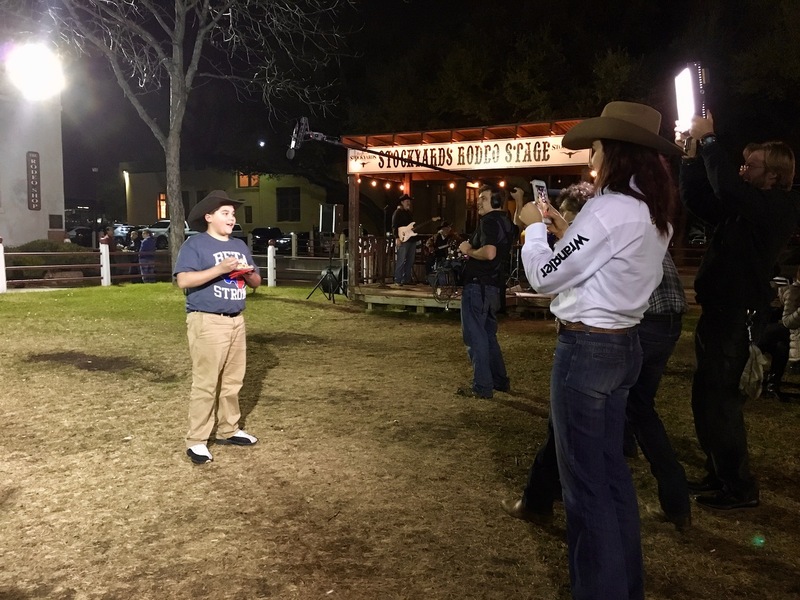 We were just amazed how young the contestants actually are! They all seemed to be teenagers and there were many kids wandering around in cow boy outfits. 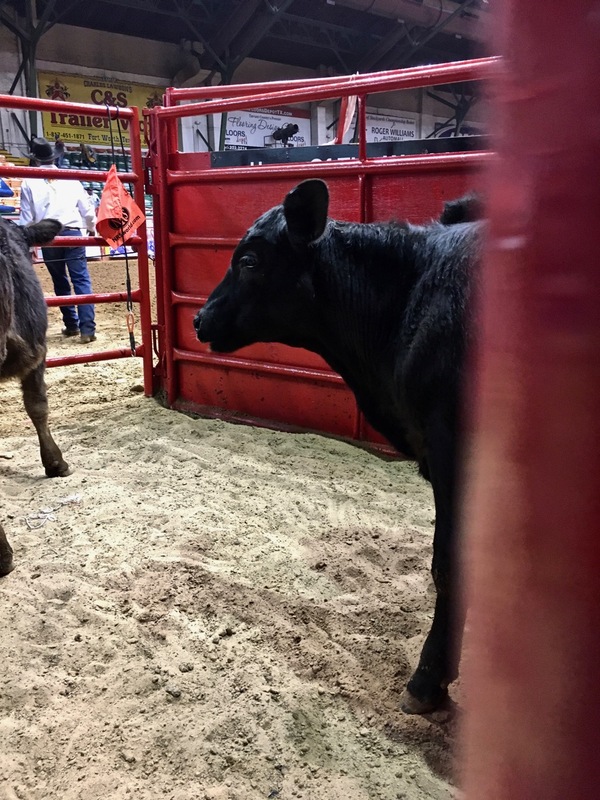 Overall, it was a great experience and we really liked the rodeo show, but I wouldn’t recommend it to someone easily upset with that kind of stuff. It’s good to go knowing what you pay for and just be comfortable with it.